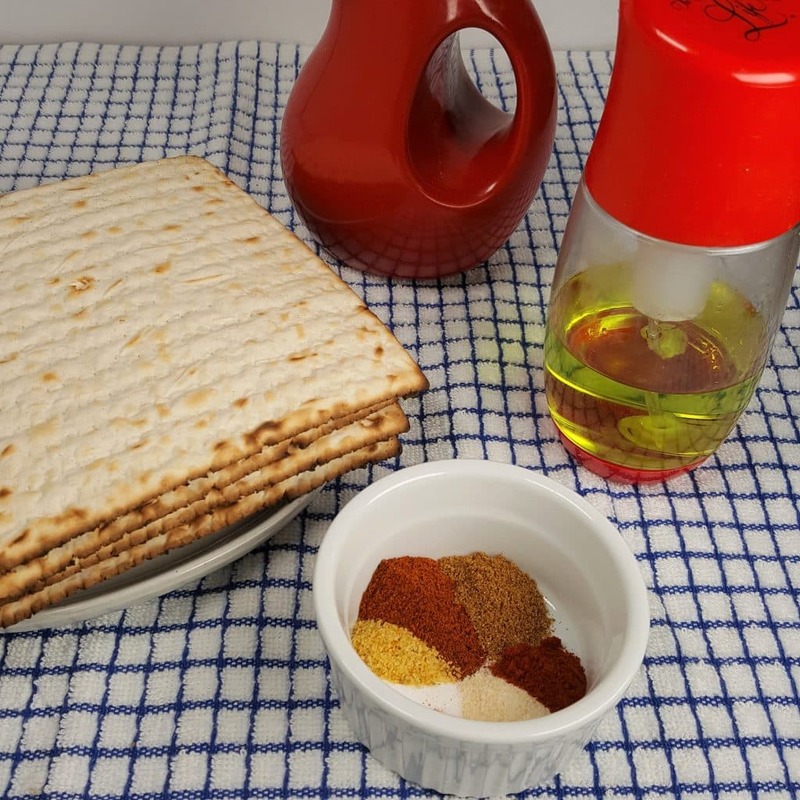 Air Fryer Passover Matzo Taco Chips are a great alternative to Nacho Cheese Doritos Tortilla Chips during the Passover holiday. Made with pantry staples and quick toasting in the Air Fryer, snacks won’t be boring at all! 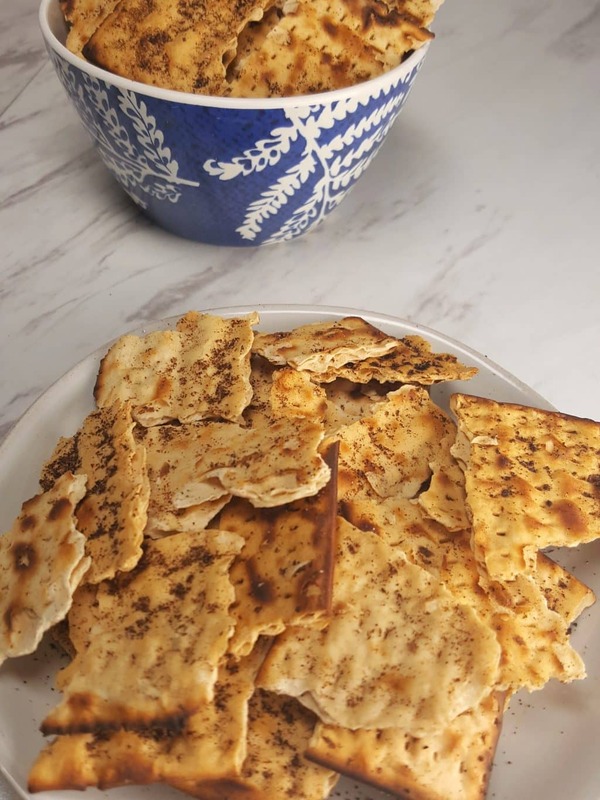 Air Fryer Passover Matzo Taco Chips are a great alternative to Nacho Cheese Doritos. It’s always a struggle to find delicious snacks during Passover. 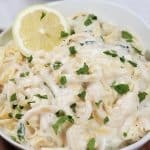 Whether you add the optional Grated Parmesan Cheese (which makes it dairy) or make it without, to use with a Meat meal, my Tortilla Chips alternative will help keep you in delicious Snacks all week long. Made with pantry staples and quick toasting in the Air Fryer, snacks won’t be boring at all! 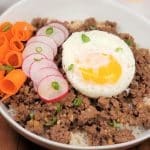 This recipe is super easy and takes no time at all. 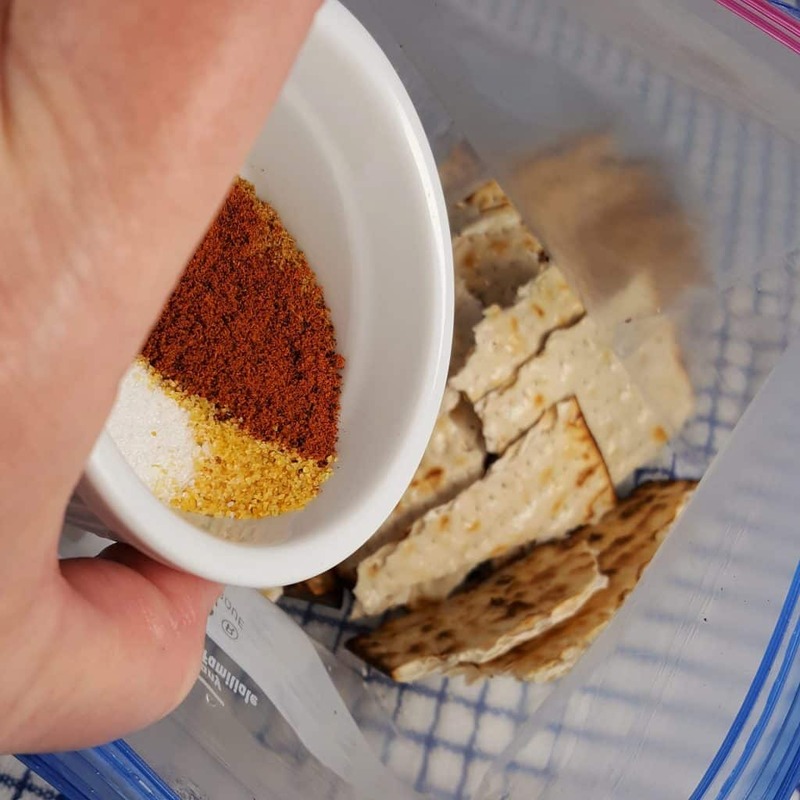 If you want to use a whole box of Kosher for Passover Matzo, double the seasonings. 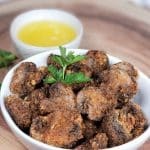 Dried Tomato Powder is the key ingredient to this recipe is a seasoning that should be in every pantry. One teaspoon of the Dried Tomato Powder equals about two Tablespoons of Tomato Paste. Stop throwing away half used cans of Paste. Add a little sprinkling my Air Fryer Simply Delicious French Fries recipe to mimic Red Robin’s yummy French Fries. Either use a Good Oil Sprayer, such as The Fine Life Oil Mister brand to spay all the Matzo…. 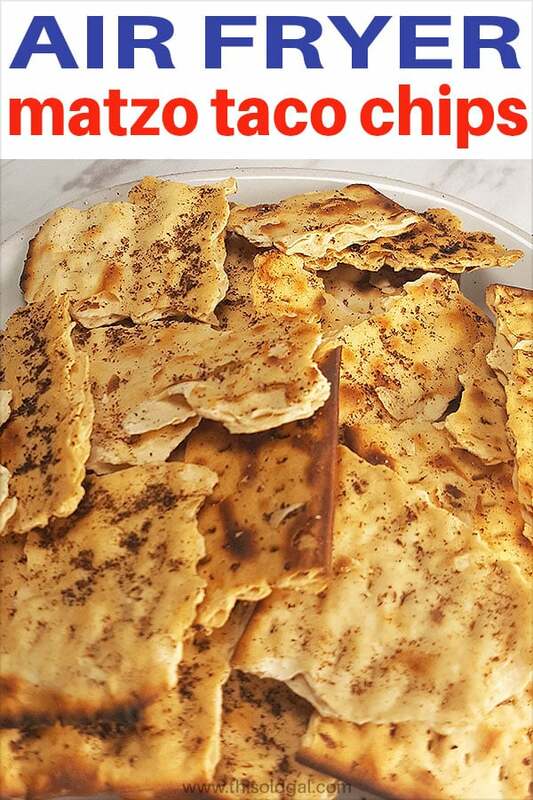 Use a Pastry Brush and brush Extra Virgin Olive Oil generously onto both sides of the Matzo. 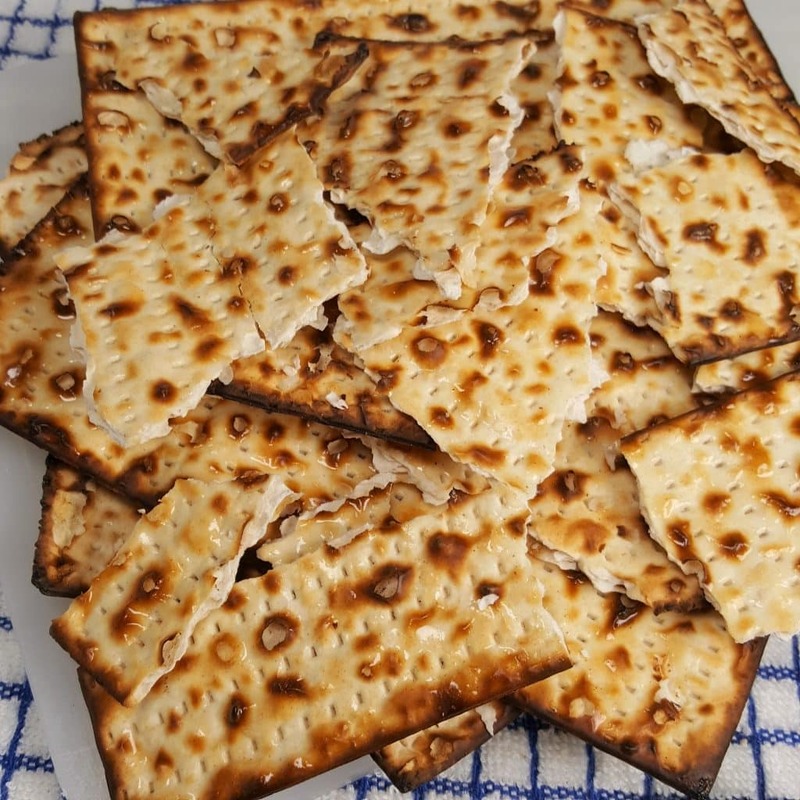 If making during Passover, remember to use Kosher for Passover Matzo. I know this seems like a lot of Olive Oil, but really, it is only probably a couple of teaspoons at most. 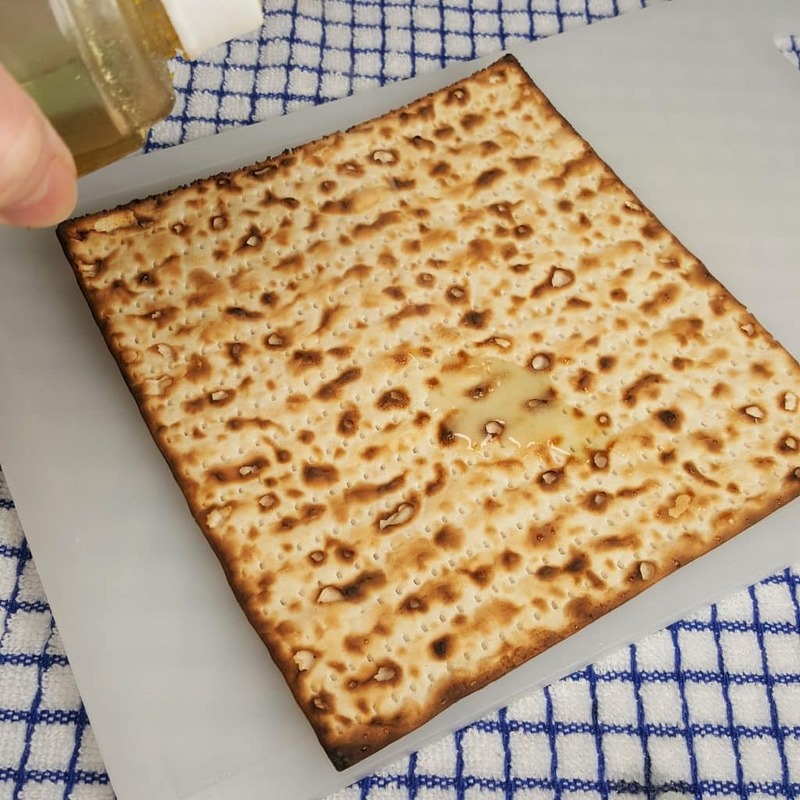 It is important to make sure that the Matzo is well doused with the Oil and that it begins to sink into the Matzo. 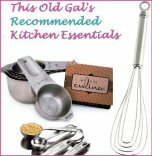 You could even pour some Olive Oil into a bowl and dip the Matzo right into the Oil. For me, I find it easier to first Olive Oil the Whole Sheets of Matzo and then break it into pieces. You might find it easier to breakup the Matzo in a bowl and toss it in the Oil and then remove. Whatever is easiest for you, is the best! Just make sure to use quality Olive Oil, as so many on the market now, is not real Olive Oil. If you want your Air Fryer Matzo Taco Chips to taste similar to the Doritos Nacho Cheese flavor, add about 1/4 cup of Grated Parmesan Cheese. My Low Carb Pressure Cooker Hot Onion Dip makes a wonderful appetizer and pairs nicely with these Taco Chips. Put out a bowl at your Seder or nosh on the Chips with the Dip throughout all of Passover. 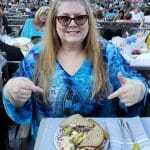 We all know how things fly about in the Air Fryer Basket after it has been turned on. A Tall Stainless Steel Trivet will prevent flying Matzos! 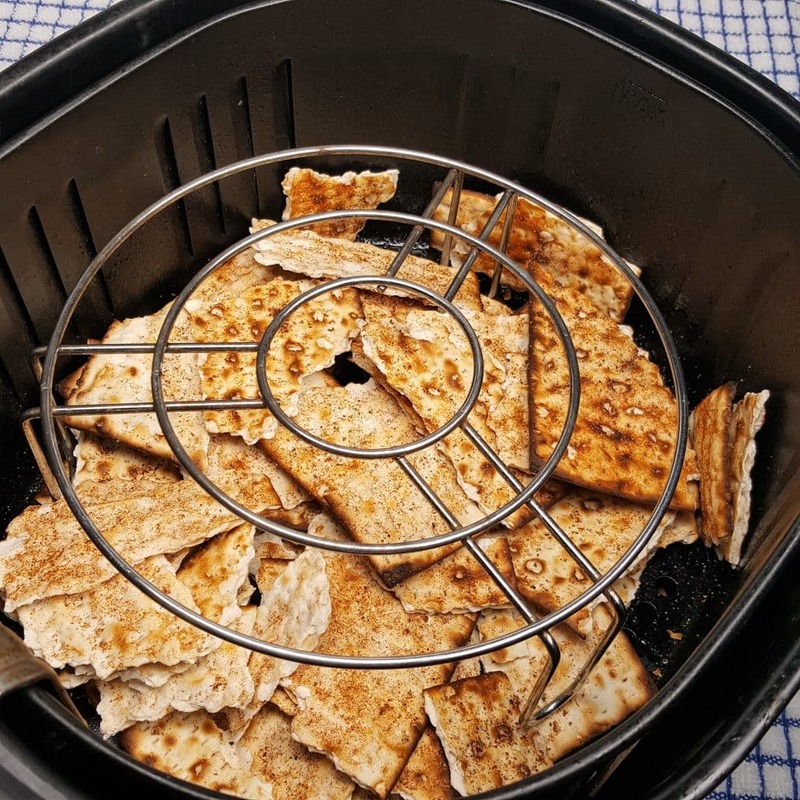 Air Fryer Passover Matzo Taco Chips will be enjoyed by adults and kids a like. Mix together all seasonings and set aside. Generously spray both sides of Matzo with Extra Virgin Olive Oil and then break into Tortilla Chip size pieces. Place Matzo into a bag and pour in the seasoning. Shake bag to combine. 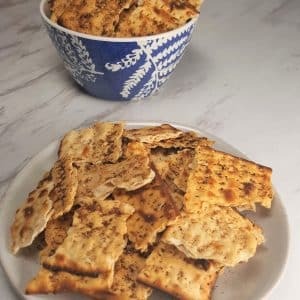 Place Matzo pieces into greased Air Fryer. 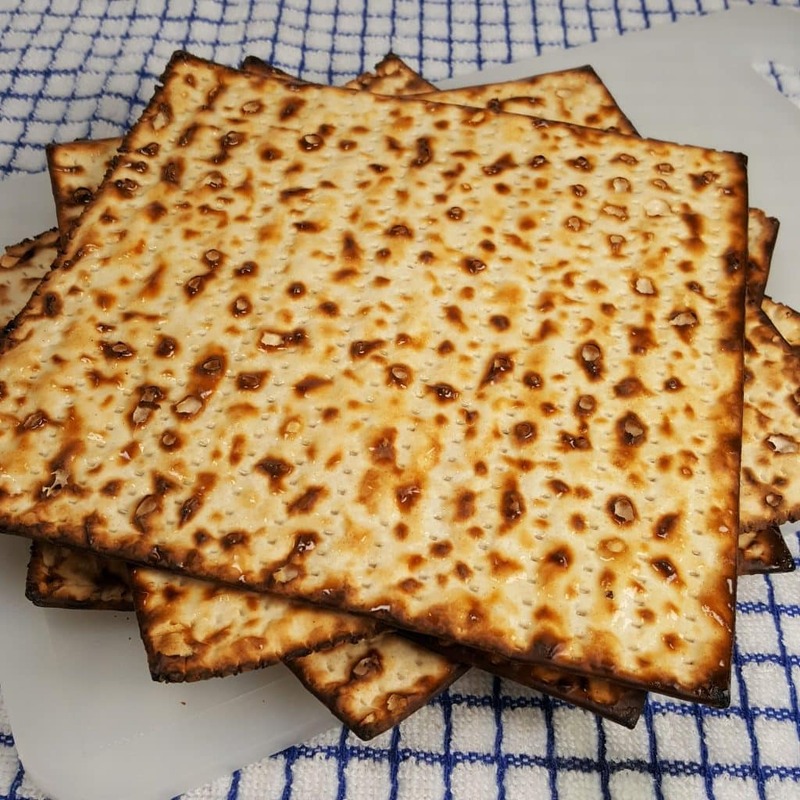 Place Trivet over Matzo. 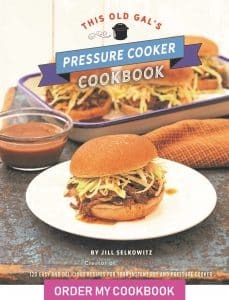 Cook at 380 degrees for 8 minutes, or until Matzo is slightly brown and crisp. 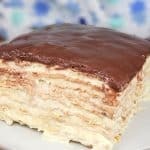 Allow to cool before eating. If not serving with Meat, add Grated Parmesan Cheese for a Doritos Nacho Cheese flavor. PIN this Air Fryer Passover Matzo Taco Chips!